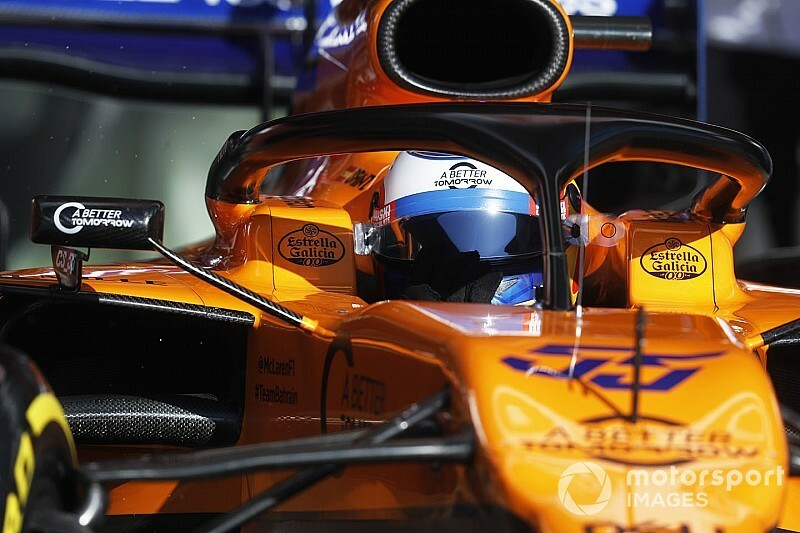 Carlos Sainz ensured McLaren retained a place at the top of the timing screens after setting the fastest lap of the test on day six of pre-season testing. Despite their demonstration of pace on the C4 tyre, a minor technical issue brought a slight delay to the team's running, but the quick resolution of the problem meant a 130-lap day could be completed by Sainz, who finished several tenths of a second ahead of Sergio Perez, who set Racing Point's best time of the test so far with a late C5 run. McLaren's problems, however, paled into insignificance when Ferrari were dealt a blow to their pre-season preparations. Given the comparatively trouble-free nature with which they have conducted their test days so far, Ferrari could be considered to be overdue a problematic day, and their seemingly standard test day was brought to an abrupt halt when Sebastian Vettel went off the track at turn three and hit the barriers, bringing out the red flags. The signs pointed to a failure on the car. The tyre marks across the gravel trap went straight to the scene of the accident, suggesting a sudden failure which meant the car was no longer destined to complete the corner. Ferrari apportioned blame to a "mechanical failure" and were unable to run for the rest of the day, except for a single installation lap in the final minutes of the session, but investigations into what exactly went wrong will continue. “We don’t know much more than everyone else,” said Vettel during the lunch break. 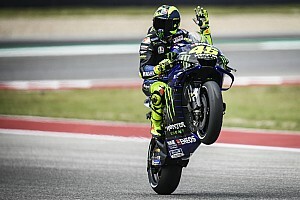 “By the feeling of it, there was an issue at the front-left corner [of the car] and, from there, there wasn’t anything that I could’ve done to avoid the impact. After that I wasn’t in control any more and I went straight into the barriers. “We are flat out trying to understand it. It would’ve been a lot easier if there was a lot of run-off and the car didn’t hit anything right afterwards because, due to the hit, we have other damage. Ferrari and Mercedes have now taken turns at dealing with lengthy delays in the second test, with the latter having to sit out much of yesterday due to a precautionary power unit swap. Mercedes have since attempted to make up for it by completing 176 laps on day six, with race simulations being their priority today. As a result, Valtteri Bottas and Lewis Hamilton finished eighth and ninth respectively. Alfa Romeo and Haas continued to loiter in the top-half of the standings, with Kimi Raikkonen (who had a car breakdown moments after the end of the session) and Romain Grosjean setting late times on C4 and C5 tyres respectively to set times in the low-1m18s. Red Bull's Max Verstappen registered 128 laps with a mix of set-up runs and race simulations, but didn't set a time on anything faster than the C3 tyre, with the team holding off on the 'glory' runs. The Dutchman also had a brief 'off-track moment', which meant the team spent a little bit of time checking over the car in the afternoon. Toro Rosso's Daniil Kvyat also hit a century of laps in another solid day for Toro Rosso, ahead of the two Mercedes drivers, and the first Renault of Nico Hulkenberg, who spent the majority of the day running aerodynamic tests. Team-mate Daniel Ricciardo was at the foot of the timing screens after setting his best lap on the C1 compound. Robert Kubica ensured Williams had back-to-back days of well over one hundred laps, and lowered their own personal benchmark to a 1m19.367s with a C5-tyre effort. "I hope in the next few days we will have more time to start playing with the car and see how the car reacts to different things," said a guarded Kubica after the test day. "We haven't done a lot of work on the car, so there's a lot of things to discover, but unfortunately there's not a lot of time before the first race."